The interior design department walked away with accolades when one of its teams secured the first prize at the Sit and Shade competition Design Days, Dubai. Design Days, Dubai is the first fair in the Middle East entirely dedicated to collectible and limited edition furniture and objects, presented by a range of international and regional galleries that was held from 18th to 21st March, 2012. The Sit and Shade competition organized by TASMENA and Design Days had 17 participating universities that offered interior design courses. 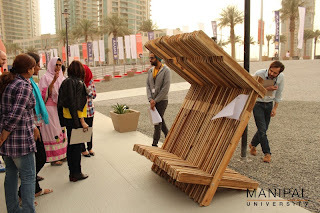 It was centred on the use of recycled pallets to create street furniture ( sit and shade ) in selected areas of Al-Quoz, Al Khor & Satwa .The 4 teams that were shortlisted hailed from Abu Dhabi University, Ajman University of Science and Technology and 2 teams from Manipal University, Dubai. 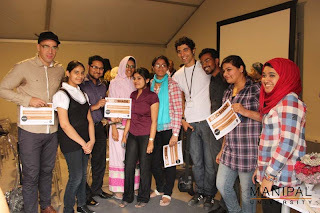 The winning design team comprised of Tooba Sarfaraz, Tasneem Mustafa, Sakina Juzer, Insia Shabbir and Sadaf Khan that produced “Rec –line” an idea that was based on the concept of ‘hand & hard work’ targeted at the laborers in the Satwa area. The team was guided at the campus by Rodrigo Simao & Bernardo Pedro, designers from Brazil with the supervising faculty Abraham Samuel and Bhakti More. The winning team received a 6 months membership at “Tashkeen”. 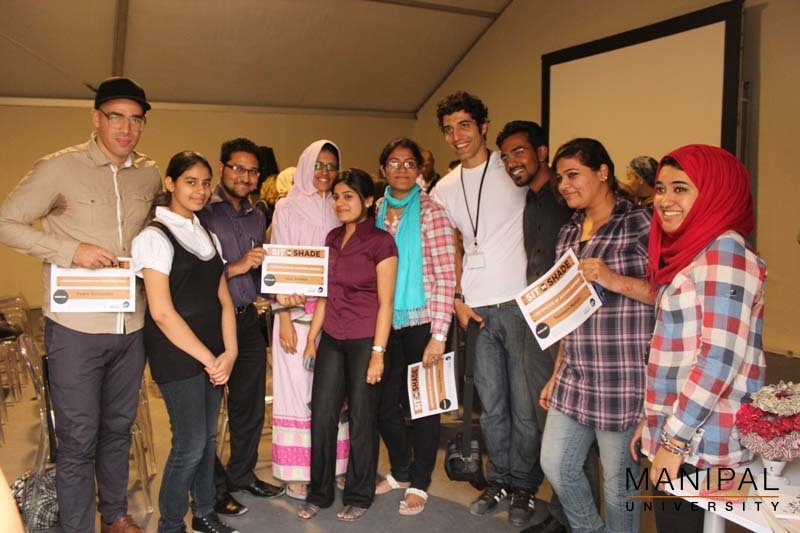 The other team from Manipal consisting of Jamila Hassanali, Shazia Fazlullah and Ummu Habiba received an honourable mention for their prototype based on the concept of a palm tree.